Put the parsley, cane sugar, orange juice and green onion in a small container and mix until the sugar has completely dissolved. Arrange the orange wedges on a large plate, or in a salad bowl, and add the orange juice mix. Sprinkle red pepper flakes over the top. For a spicier version, swap out the pepper flakes for a fresh red chili pepper, habanero or Scotch Bonnet pepper. 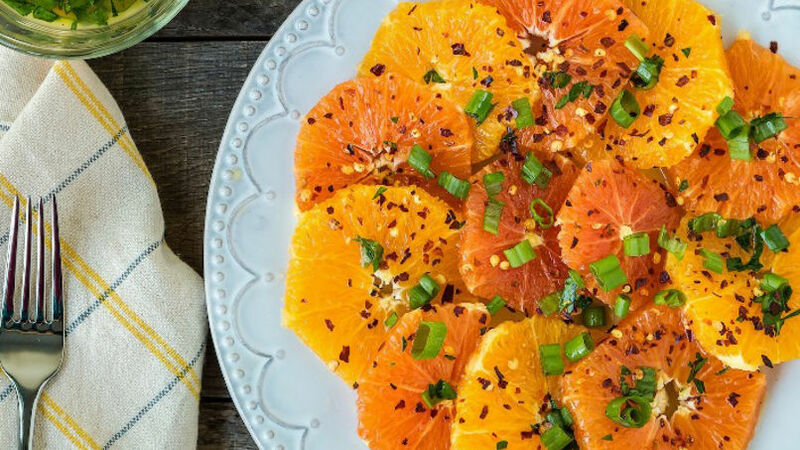 This Colombian orange salad, known as Chuyaco, is the perfect fresh side for a summer grill out. I ate this salad for the first time at a friend’s house. She’s from Colombia and prepares it all the time, especially during the summer months. Depending on the level of heat your family is used to eating, you can use different kinds of chili peppers. I like to use crushed red pepper flakes since they’re more subtle, giving the dish a flavor boost. Try it for yourself!